On 17 October, the Morrison government announced a review of Australia’s support for the Iran nuclear deal, officially known as the Joint Comprehensive Plan of Action (JCPOA), to determine whether it remains ‘fit for purpose’. There are compelling reasons for Australia to continue to support the deal, and significant implications if it does not. Three fundamental bipartisan foreign-policy principles of successive Australian governments are a firm commitment to the rules-based international order, the United Nations, and the nuclear non-proliferation regime. The JCPOA intersects with all of them. Signed in July 2015 and implemented in January 2016, the JCPOA is an international arms control agreement, endorsed by the UN Security Council as resolution 2231. As such, it falls very clearly within the parameters of the rules-based international order. And while Australia isn’t a signatory to the JCPOA (the original signatories were the US, Britain, France, Germany, Russia, China and the EU), it is a party to the deal through its membership of the UN. 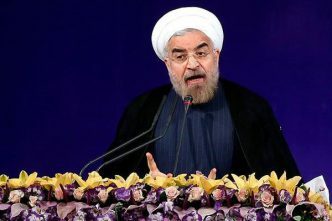 The non-proliferation-related objectives of the JCPOA were to prevent Iran from developing a nuclear weapons capability, both for the duration of the deal and beyond. Its control mechanisms, most of which are subject to agreed sunset periods of between 10 and 25 years, include regular and comprehensive inspections by the International Atomic Energy Agency and built-in safeguards which ensure that Iran neither has, nor is able to acquire, the quantity or quality of uranium, or the physical means of enriching that uranium, to make a nuclear weapon. Notwithstanding the limitations of agreed sunset clauses, the JCPOA also includes in its preamble and general provisions Tehran’s explicit reaffirmation ‘that under no circumstances will Iran ever seek, develop or acquire any nuclear weapons’. The explicit reciprocity within the deal for Iran’s compliance was the lifting of a wide range of sanctions by the UN, and especially the EU and US, covering trade, finance and investment. On implementation, Australia, like other non-signatories, also lifted its UN-related sanctions. What the deal doesn’t include is mandatory restrictions on Iran’s development of ballistic missiles capable of delivering nuclear weapons. These are voluntary. Nor does it include any provisions relating to Iran’s non-nuclear military activities, regionally or elsewhere. As a package, all of the original signatories and the UN regarded the JCPOA and its objectives and control mechanisms as ‘fit for purpose’. But like all agreements, its functionality and durability are underpinned by trust. Iran has not breached that trust. 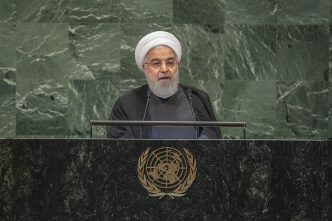 Its compliance with its obligations has been repeatedly verified by the IAEA during all inspections since the JCPOA’s implementation, despite US President Donald Trump’s announcement of his country’s withdrawal from the deal in May and the progressive imposition of old and new sanctions by Washington in August and November. Iran has voluntarily capped the range of its ballistic missiles at 2,000 kilometres, which is consistent with its perceived regional threats. And despite the severe challenge to the JCPOA from Trump, all the other signatories have so far upheld their obligations under the agreement. 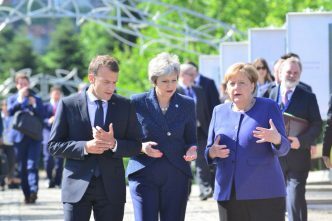 In their joint statement on 24 September, the UK, France, Germany, Russia, China and the EU agreed to implement legal and other means to try to normalise trade and investment with Iran and minimise the effects of US sanctions on legitimate businesses, to the maximum extent possible. From an Australian policy perspective, the changes to the agreement that Trump has demanded are not minor. He has significantly moved the goal posts. 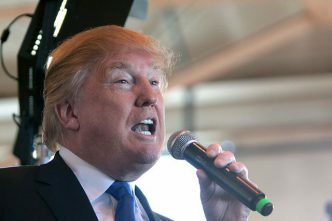 He wants the sunset clauses to be removed, tougher compliance monitoring by the IAEA to ensure Iran can never develop a nuclear weapons capability, and mandatory restrictions on Iran’s missile program to eliminate any possible development of nuclear-capable long-range ballistic missiles. The last of these demands is widely seen as also seeking to control Iran’s conventional missile capability. An added sting in Trump’s sanctions regime is the implementation of punitive measures against countries and businesses that continue to do business legally with Iran. Australian companies are among those that could be affected. A further complication of these sanctions for Australia is the negative effect on broader alliance relations, including America’s ties with Europe and the UK. 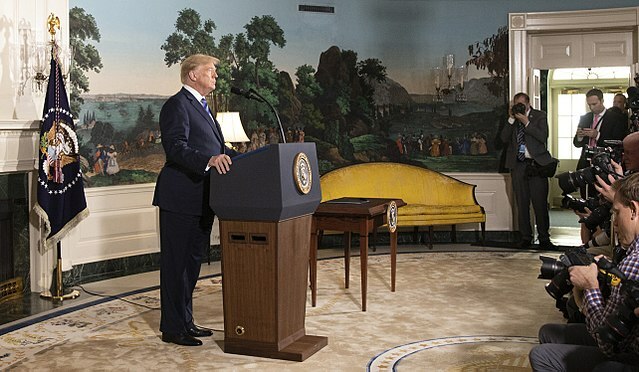 Trump’s new demands that Iran must cease what he has described as its malign and destabilising activities in the Middle East and elsewhere are unrelated to the JCPOA’s original objectives. 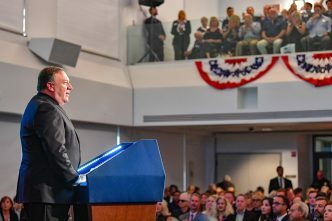 These demands were first detailed by US Secretary of State Mike Pompeo in his remarks to the Heritage Foundation in May. They are universally seen as an unrealistic wish list. Trump’s concerns cut across an internationally endorsed agreement focused on non-proliferation objectives. They have breached the trust of other signatories, and are collectively seen as divisive and unrealistic. Some EU sources believe that Trump’s demands are largely intended as a lesson for North Korea in the hope of some transactional compromise. Reportedly, former US secretary of state John Kerry is being pursued by multiple parties as a broker in the search for any compromise. However, what Washington is currently demanding of Tehran is not seen as proportional or fit for purpose. Given that the JCPOA is consistent with Australia’s foreign policy objectives, and provided the current signatories continue to meet their obligations, it’s difficult to envisage what the Australian government might see as a realistic alternative. To abandon support for the JCPOA in present circumstances would be inconsistent with Australia’s established foreign policy practice. It would also raise questions of motive and reliability. Internationally, for example, would Indonesia, Malaysia and other countries see any such change as separate from the Jerusalem embassy issue? Australia would also need to weigh up very carefully the implications of such a change on its relations with other JCPOA signatories, including the EU itself and EU member states. Whatever the outcome of the review, Australia’s principles and trust should not be compromised. Ian Dudgeon is a presidential associate of the Australian Institute of International Affairs. Edited image courtesy of the White House on Flickr.